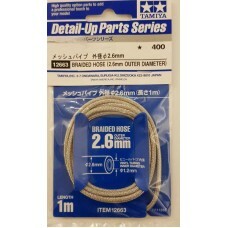 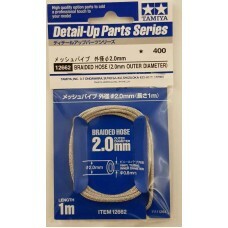 Tamiya Detail Up Parts - Braided Hose with outside diameter of 2.00mm and an inner vinyl tube of 0.8..
Tamiya Detail Up Parts - Braided Hose with outside diameter of 2.60mm and an inner vinyl tube of 1.2..
Tamiya Detail Up Parts - Cable 0.8mm outer diameter (Length 2m) suitable for control cables on 1:12t..
Tamiya Detail Up Parts - Cable 1.0mm outer diameter (Length 2m) suitable for control cables on 1:12t..
Tamiya Detail Up Parts - Cable 0.5 outer diameter (Length 2m) suitable for control cables on 1:12th ..
Tamiya Detail Up Parts - Cable 0.65 outer diameter (Length 2m) suitable for control cables on 1:12th..
Tamiya 1:20th scale seat belt set (Set B). 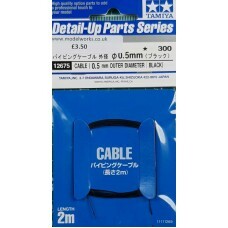 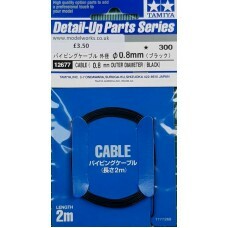 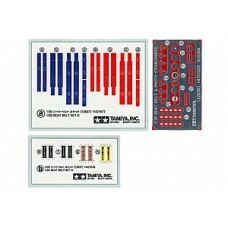 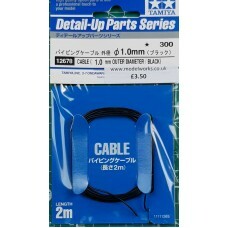 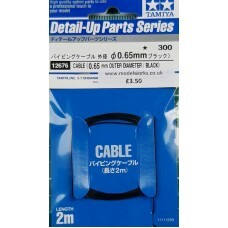 The set includes seat belt material as well as etch..
Tamiya 1:20th scale seat belts (Set A). 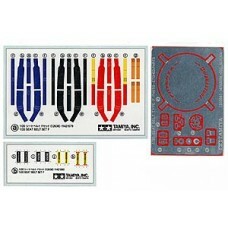 The set comes with phot-etched parts and seat belt str..